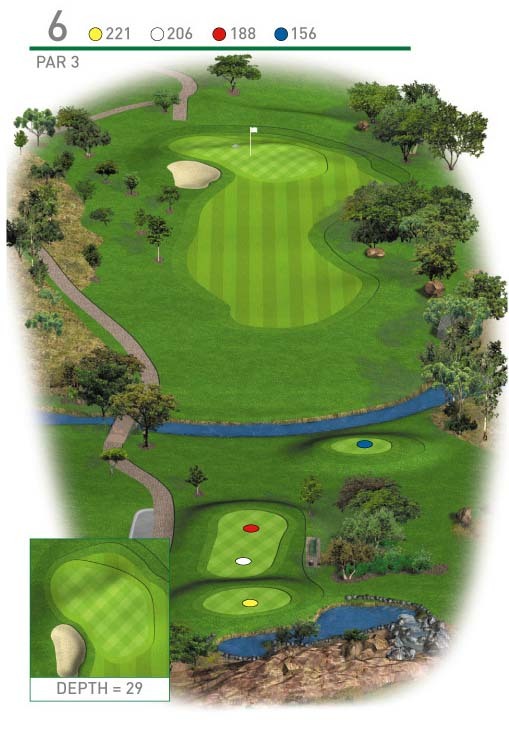 A long par 3 played uphill to a well shaped and undulating green. Ensure you take sufficient club to get up and be careful of the bunker protecting the left side of the green. Once you are safely on the green take your time to read your putt as this green can be tricky.